Use which one for stage 8 to 9 (Battle of chibi aka red cliffs 2 then to 10? Just bought 10 x Seollal Pouch 5 (L). Quite a lot of goodies for 15k gold. and 1 Nat5* edict of choice bonus coming. All in all, I think it is 15k ingot well-spent! Go and buy! Haha. 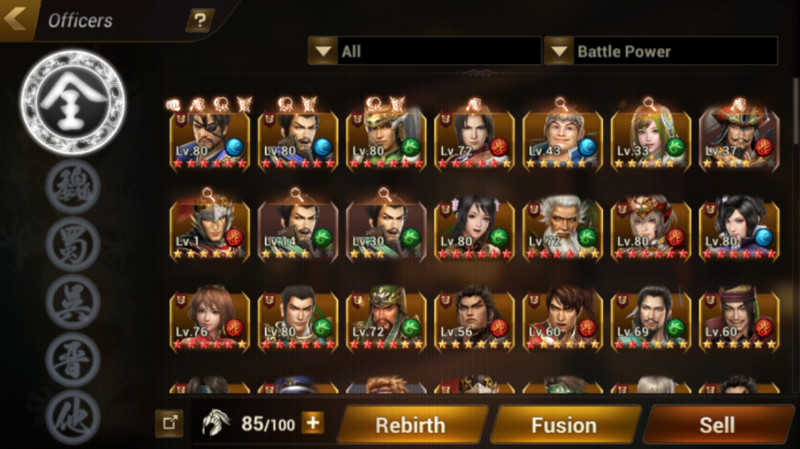 Any suggestions on which Nat 5* to work on among ZF, BSN, SMS, ZGL, XZ, WYJ or JW (all 2/6 or 3/6)? Oh yeah got BSN from barter!! Got a V Day gift haha. I think the V Day gift box could be a female officer? i dont need most of the stuff since my shield team is max out on officers..
need lots of coins and LW tho..
Eh u got 2 scrolls??!! ps its just 1 nat 4 GYP. 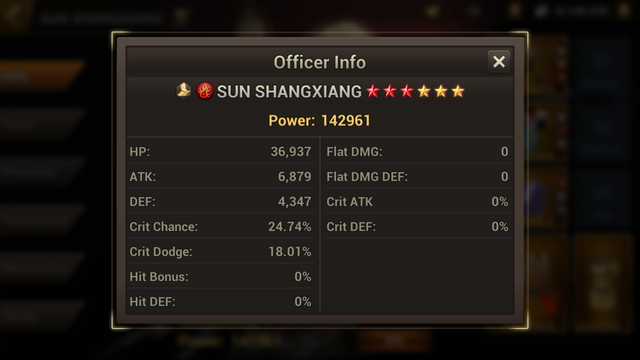 What so you guys do with 6 star bronze gear? Nat 5 hero vs common full red star which will win? Last edited by letsgososhi; 15-02-2018 at 12:45 AM..
OMG! 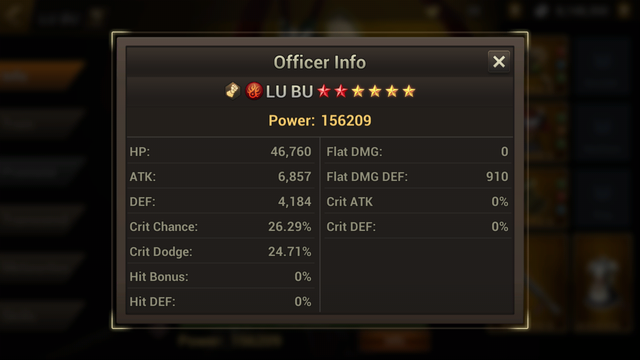 i guess u are just lucku. I spent 3k gold and bought 2. got 3 million silvers and 2 5* edict and one blue pouch. LAME. Congrats on clearing! FYI, they are giving a Gold GY for the new 7-day login, if you haven't maxed transcend. Unfortunately, this is true even though it should be statistically random. If u get crap from 10 draws, u can complain to Customer Service and they will just say sorry, luck of the draw. But if you make 50 draws and get crap, they will have to admit it is a con job, and no business wants that kind of unwarranted attention. I suspect the draw rate is higher when you open more each time. If possible, save 30 keys and open the chests in one shot too. 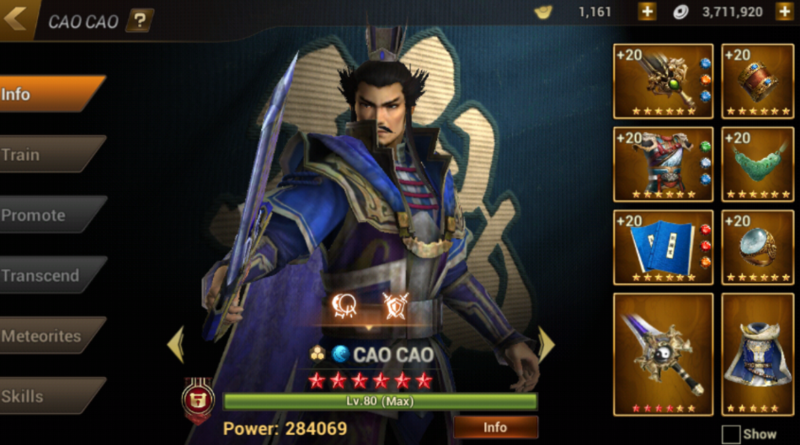 Actually, with your XHD and his LW at 4*, you should be able to clear 9-10E. 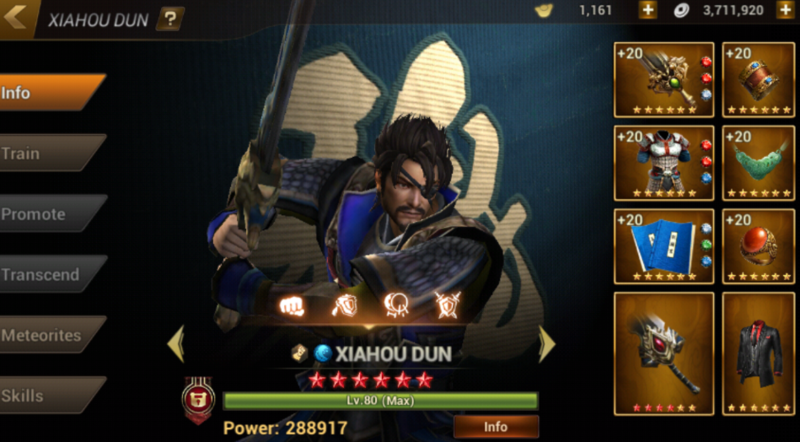 This is a repost of an earlier strategy for 9-10E which you can try using your GYP, XHD, and another strong repel officer of your choice (don't use up all the red star scroll on GY. There's a free one coming in 7 days). With XHD as your main hero (collecting all the buffs, doing all the major kills), spend as little time fighting the enemies as possible as the mobs + bosses combined will overwhelm you. From the beginning scene, just hit the mob to generate Musou, and there’s no need to kill them. Save your skills. After a while, the sub-boss will appear and then skill him to death. Then wait to generate full Musou Rage for all three heroes (11 mins?) . Next scene, collect the ATK buff and then Musou Rage the chariot to death. 5 Blue and red officers will appear. Switch officers and then Musou Rage + Skill them to death. Then collect the Musou Pot and wait to generate Musou Rage for all 3 heroes again (14 mins?). Next scene, another three sets of officers. Just ration 1 Musou Rage + Skills per set of officers. Once done, generate Musou Rage for 1-2 of your heroes (11 mins? ), then collect the ATK buff and then enter the final scene. Musou Rage the 2 chariots to death using 1-2 of your heroes. Total contact time with enemies: 2 mins? Total wait time for Musou: About 40 mins. That’s the cheat way to clear 9-10 Elite. If your team is strong, you can try with brute force or partial Musou Rage. For me, this is the only tactic that guarantees a win. Your supporting heroes have to be decent too to help you clear the sub-bosses. Red Hero to match up against the red officers, and green hero to match up against the blue ones. Your XHD will match up against the strongest boss for each scene. Eh wanna ask, Ling Tong, Shi Ma Shi or Zhu Rong? I got Nat. scroll of choice. Spent 1.2m coins and 4500 ingots lolol. Worth like ****. Last edited by human_shieldz; 15-02-2018 at 11:15 PM.. I save more then open 1 by 1 seems to give me better items overall.